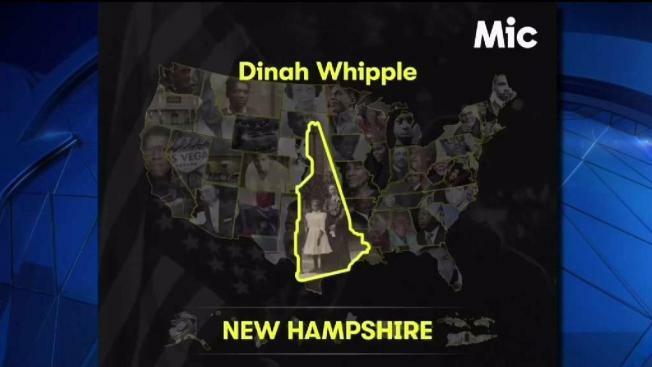 A proposed monument would honor the memory of Dinah Whipple, the founder of New Hampshire's first school for black children. For more than 200 years, few people have heard about the works of former enslaved African American woman Dinah Whipple. The New Hampshire native created the first school for black children in NH. Whipple was nominated this February to receive a monument as part of Mic's Black Monuments Project, which honors 54 black heroes, one for each U.S. state and territory, who deserve monuments to be erected in their honor for their contributions to American society and culture. "The fact that this woman has been here in the history just waiting for her time to come I guess and her day is here," said Valerie Cunningham, founder of the Portsmouth Heritage Trail and a black history researcher. "Dinah had her school from around 1806 until she moved from the house into another house that was provided for in the 1830s," Cunningham said. Cunningham also said records show the ladies of the "Charitable African Society" helped Whipple start her school. The Portsmouth anthanaeum keeps artifacts and records of history in the city. They have managed to collect and preserve a document with Whipple's original signature, a ledger showing that she and her husband Prince checked out books. "If you grew up as Dinah did in the House of a literate .... then you're going to learn to read," Cunningham said. The Portsmouth anthanaeum also has a note showing that North Church paid five dollars for Whipple's coffin. Cunningham showed NBC10 Boston where Whipple is believed to be buried, an empty plot next to her husband Prince. "Many people who are familiar with this local history know about Prince Whipple, few know about Dinah, because she was a woman, she was black, why talk about her?" Now, people are taking about Whipple, and they want her to be remembered. Cunningham and the Executive Director of the Black Heritage Trail of Portsmouth want to put a headstone on Whipple's burial plot in the future.